How to Build Constructive Broker-Dealer Support - Investor Relations - Market Climber Inc.
To be successful in the capital markets public companies need broker-dealer support. But how do you get the very best from the sell-side? Access to the broker-dealer’s retail network. However, these benefits are earned over time. To earn constructive broker-dealer support, your company’s investor relations program has to live up to its obligations. In this article we talk about what companies can do to maximize the broker-dealer support they receive. Raising debt or equity capital. It may sound harsh, but everyone has to eat. You can learn more about the specifics of attracting analyst coverage here. You can increase your odds of success by providing transparent reporting, access to management and regular updates. Once research is launched, the hope is that it is constructive, insightful and further clarifies the nature and performance of your business to investors. Finally, you should avoid acting like a cry baby when you receive a sell/hold recommendation that is supported by the facts. Markets are structured so that broker-dealers make more money placing your shares with high turnover clients than with long-term buy and hold clients. The type of investor you should be targeting will depend greatly on the size and stage of your business, and will often be different than the kind of investor your broker-dealer is targeting. An investor relationship management system is indispensable for identifying investor targets and tracking which investors your broker-dealer is pairing you up with. Share with your broker-dealer who your investor targets are. This will help maximize the number of investors in the marketing schedule that closely match your target profile. It will also help to ensure you get the most value out of the time your CEO/CFO has dedicated to institutional marketing. To avoid becoming “stuck-holders” institutions avoid stocks that are illiquid. Illiquid stocks have insufficient trading volume for investors to buy and sell shares without having a dramatic impact on share price. Gain their attention and be top-of-mind so it’s your story they are pitching instead of someone else’s. For stocks traded in Canada, it is possible to quantify how many shares your broker-dealers are actively trading. This information is useful in selecting broker-dealers for marketing and for your syndicate when you raise capital. Due to a lack of reporting requirements on trading and the prevalence of dark pools in the US, public companies traded in the United States do not have access to this information. Retail brokers are growing in their importance to the capital markets. Many of the retail brokers you will speak to manage books worth as much, if not more, than some of the institutional investors you speak to. In addition, many of them will have greater flexibility in terms of what they can recommend to their clients. Never pass up an opportunity to present to a broker-dealer’s retail group. An hour spent in a room with a healthy retail broker group will often give you access to more assets under management than you can address in a day of institutional marketing. They are also an important source of liquidity. New regulations have created additional costs and technological challenges for retail brokers. In response, many retail oriented brokerages have sold themselves to bigger investment banks or have just closed their doors. The retail broker arms of several major investment banks have also recently made major cuts to their staff. The industry is changing rapidly and it appears that these changes will further concentrate wealth into the hands of fewer brokers. It can take up to two years of regular meetings and phone calls to achieve full broker-dealer support, so be patient. 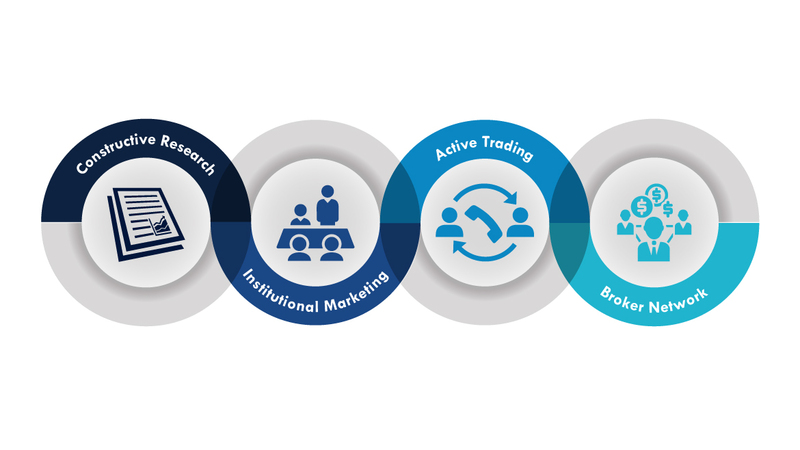 Once support is attained, be sure to maintain regular contact with your broker-dealer’s research analyst, investment banker, institutional trading desk and retail brokers. Measure the performance of your broker-dealers over the long term using an investor relationship management system. If the performance of a broker-dealer lags in a certain area, take corrective action to improve the relationship. Long-term, broker-dealer performance should inform who to prioritize for marketing and syndicate selection. Thank you for reading this article. If you liked it please share it on social media. If you would like to receive a weekly or monthly summary of Market Climber’s Insights then please subscribe to our newsletter. In addition, if you have further questions or would like to speak with us please contact us.